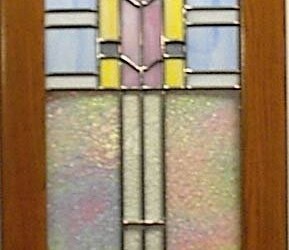 David became interested in learning the art of stained glass when he remodeled his kitchen back in 1997. 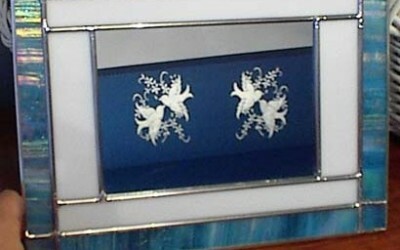 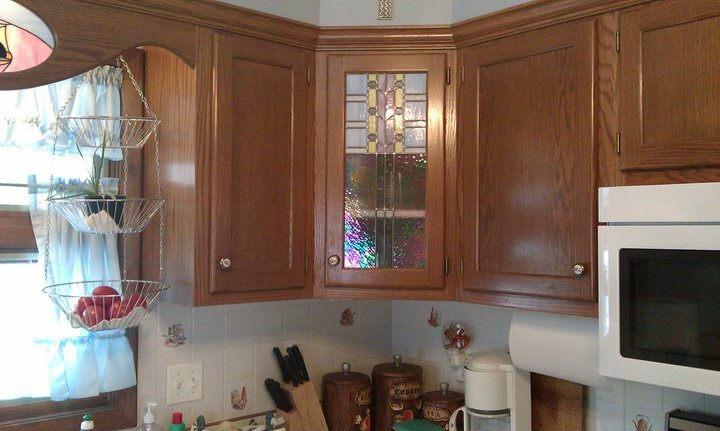 His wife, Karen, wanted a stained glass panel made for one of the corner cabinets. 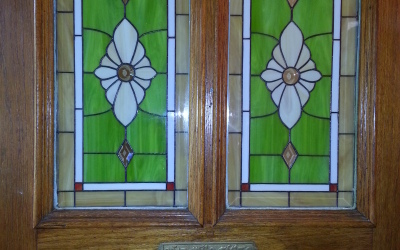 When he discovered the panel would cost nearly $400, he jokingly asked the woman who gave him the estimate if he could just take a class in making the design. 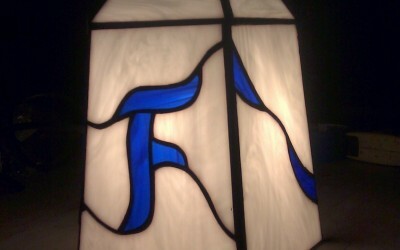 She told him, “Sure!” That summer, David took classes in the craft. 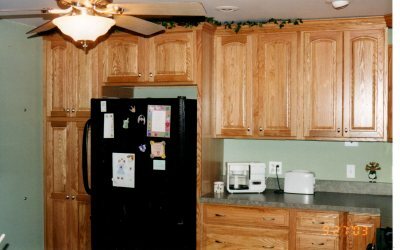 Since 1997, David has crafted many designs for family as well as for clients. 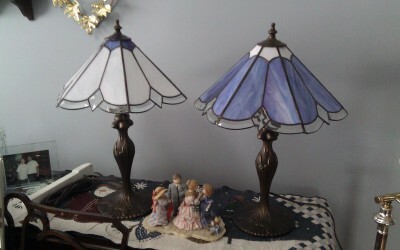 David has made many pieces to donate to silent auctions for Boy Scouts, church and other non-profit organizations. 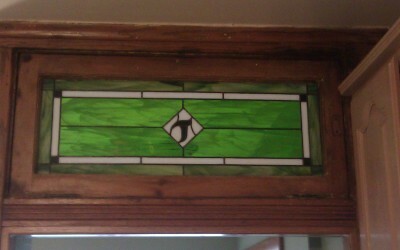 All stained glass pieces are custom made. 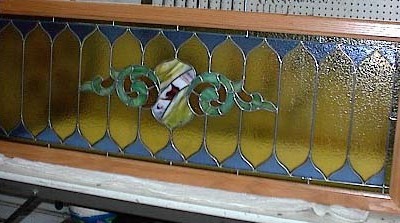 Pricing is determined based on size, number of glass pieces, color of glass pieces, framing and installation location.